Where Do We Go from Here? was an exhilarating mix of art and technology that used a specially choreographed interplay of light, shadow and sound to guide people through Hull's Old Town. 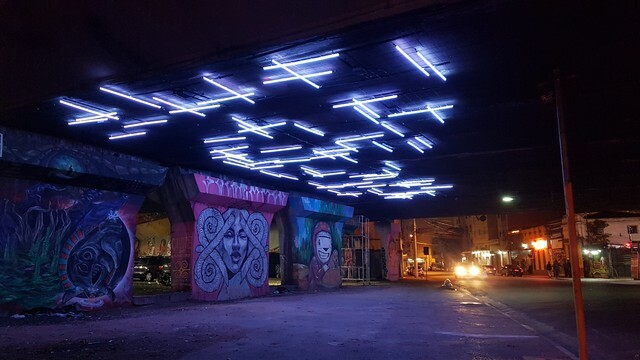 It encouraged people to explore the city's night-time streets as dormant robots awakened, responding to the city's architecture, interacting with one another and with Hull's residents and visitors. Where Do We Go from Here? was an exhilarating mix of art and technology that used a specially choreographed interplay of light, shadow and sound to guide people through Hull's Old Town. 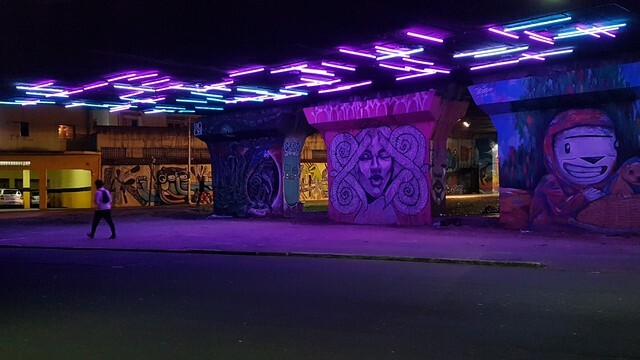 It encouraged people to explore the city's night-time streets as dormant robots awakened, responding to the city's architecture, interacting with one another and with Hull's residents and visitors. The site-specific installation was inspired by Hull's maritime heritage and history as a centre for navigation. It was a nod to the ways in which the old and new can live in symbiosis, pointing out the city’s juxtaposition of tradition and modernity and its strengthened reputation for ideas and innovation. Robots communicated through woven light networks creating kinetic animations that resulted in an inquisitive acquaintance with the city. Effects, from beams to constellations, shadows and reflections, animated and highlighted unseen places and architectural features while engaging people in new conversations about city and possibilities beyond. Where Do We Go From Here? focused on four areas around Hull's Old Town. Each site featured a different configuration of re-purposed industrial robots of varying sizes and at different levels, from ground to rooftop. Unique choreographies each portrayed behaviours and narratives that posed important questions about the role of robots in society. The one-of-a-kind intervention explored the relationship between people and technology through automation, architecture and wonder. It allowed Hull’s inhabitants and its many visitors to witness a playful manipulation of light, responding to the city's unique geometries, built environment and embedded history. The installation was accompanied by specially curated soundscapes devised by manipulating the whirrs and clicks the robots make as they move. This atmospheric artwork evoked a mix of nostalgia and sci-fi embodying key themes for Hull. Kind of light creation : A range of end effector lights and reflectors created theatrical lighting arrangements. Moving head lights produced striking geometric formations. Fixed lights blinked like Morse Code to evoke the idea of robots communicating. 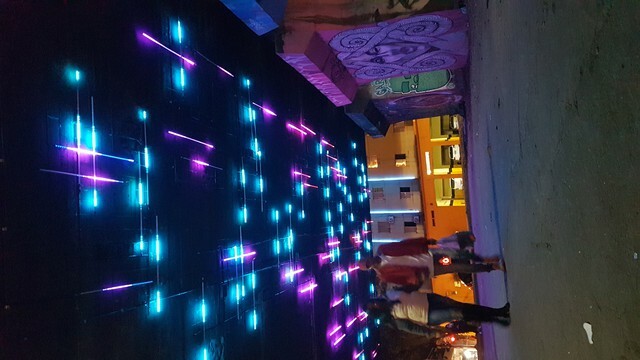 Lights with directional speakers created an immersive experience. Spots lights danced across buildings and paving stones and the robots appeared to investigate the space. Urban situation : Where Do We Go From Here? was placed across four sites in Hull's charming old town. This part of the city has a rich maritime heritage and a diverse combination of architectural styles from Gothic to Edwardian and Georgian. 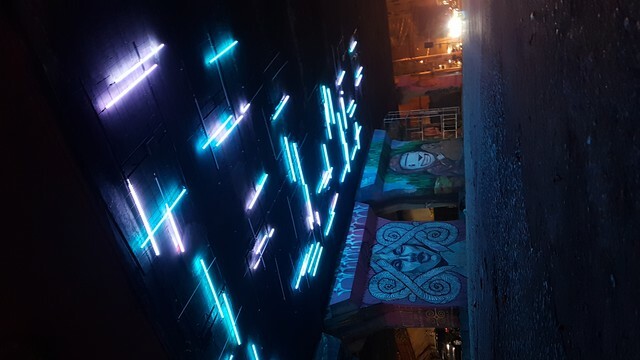 The robots were programmed to shine a light on the historical tapestry in which they were situated: the network of streets and alleys broken up with interesting public spaces.